According to a new report, the UK has seen a huge increase in overseas investors seeking and purchasing properties under £70,000. Find UK Property, an agency specialising in sourcing UK property for overseas investors have analysed their sales figures over the six months from January to June 2014 and recorded an increasing trend for overseas investment in properties at the lower end of the market. It is well-known that London's prime markets are particularly targeted by overseas investors but the price tags are way beyond the reach of the majority. The increase in overseas investment in the more affordable range has been attributed to the rising number of enquiries from UK Nationals living overseas (Expats), investment from whom has increased by 60% during the first half of the year. The UK has long been considered a safe haven for property investment by overseas buyers. With buying processes being transparent and well-regulated, long term title ownership in the UK is very clear cut. London has traditionally held the most appeal for foreign investors however, this may be about to change. Senior Marketing Consultant at Find UK Property, Andy Noble says: "High London property prices and low rental yields are forcing ordinate overseas investors to look elsewhere as London is not affordable. 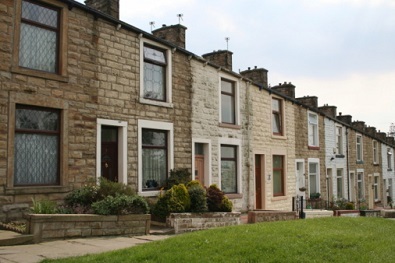 The low prices, overall good value and high rental yields offered by property outside London in areas such as Lancashire has resulted in increased [investor] interest". He added: "Our best-selling house costs just £54,995 and delivers 8% rental yield. The same 2-bed house on the outskirts of London could cost over £250,000 and deliver around 3% rental yield. Thus, for the price of 'one' house in London, an overseas investor could get 'five' similar properties in the Lancashire area, have double the rental yield of around 8%, potentially greater capital growth and more future flexibility in that some properties could be re-sold whilst others retained." Earlier this year, research from Lloyds Bank uncovered a strong appetite for property among British expats, with 38% planning to buy a new property in the coming two years with a view to renting it out for a regular income. 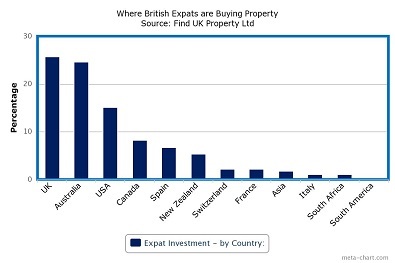 71% of expat owners of rental properties in the UK have tenants in them at all times. Director of Lloyds Bank International Banking, Richard Musty commented: "Confidence in the UK property market is very strong. Our recent Investor Sentiment Index in March showed that consumer sentiment for UK property had growth by 50 percentage points since March 2013, so it's not a surprise that Brits abroad are looking back home. While we welcome this investment in to Britain, it's important that expats consider all their options and think about a range of investments in their portfolio and not just property." For many expats, the relatively weak pound also makes the UK property market even more attractive – their Euros or US Dollars now buy them more pounds that they would have done a few years ago. A £300,000 property is now approximately 25% cheaper to a European buyer than it was in 2007, prior to the financial crisis. Musty said: "UK property prices are strengthening and British expats don't want to miss out on this investment opportunity. Our research shows that huge numbers of expats are now ready to take the plunge as they look to benefit from high rents and a relatively weak pound. With that in mind, any potential investor must make sure that they get the right advice before deciding to invest back in to the UK." Expats based in the UAE (65% of expats), France (37%) and Switzerland (29%) are the most likely to buy in Britain, which may be related to geographic proximity or restrictive local laws in place for purchasing property in some countries. For example, 72% of those in the UAE already own a UK property – the highest in the survey.